Fans seem to be a bit split on Joss Whedon's departure from Batgirl, but it seems a few of his Justice League compatriots have revealed where they stand. 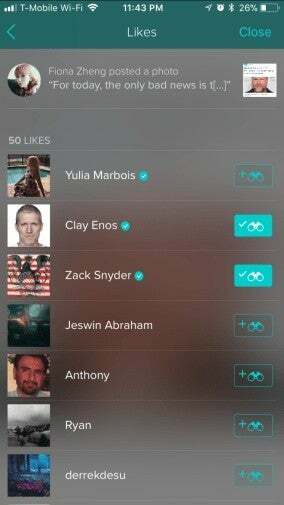 That would be Justice League director Zack Snyder and DCEU photographer Clay Enos. A recent story about Whedon's departure contained the text "More bad news for fans of DC Entertainment: Joss Whedon is giving up on his #Batgirl movie". 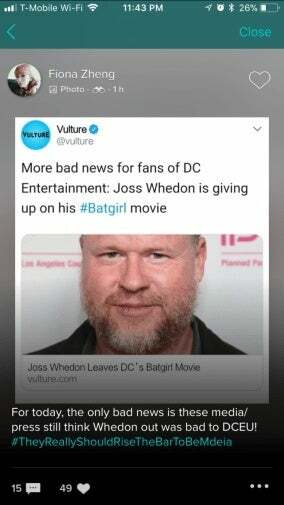 That was shared by Fiona Zheng, who added the comment "For today, the only bad news is these media/press still think Whedon out was bad to DCEU! #TheyReallyShouldRiseTheBarToBeMdeia"
That post got a like from both Snyder and Enos, which is noteworthy enough. 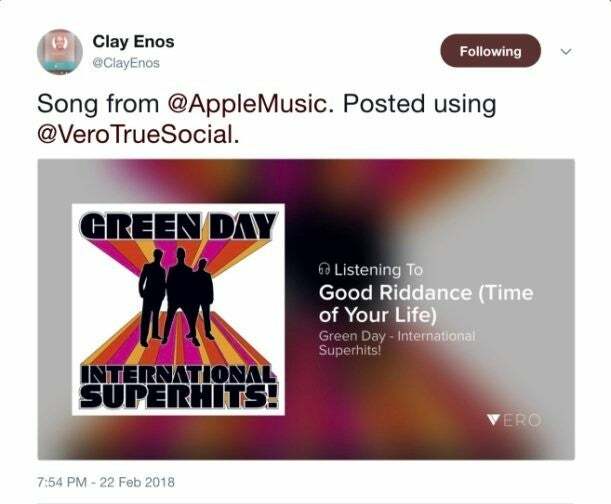 Not only that, but Enos later shared a song he was listening to on Vero, which turned out to be Good Riddance (Time of Your Life) by Green Day. Sure, it could be coincidence, but it doesn't take much to read between the lines on that one. Snyder departed Justice League after a personal tragedy, giving the baton to Whedon for reshoots. Other reports state that this was not the case though, saying that Snyder was fired before that actually happened. Even if that's not the case, Snyder is probably not happy at the film's reception, a film that some fans felt was all over the place as far as tone. That's resulted in a call for a full Snyder cut of the film to be released, but there are conflicting reports as to if that actually exists. Snyder shot a fair amount of scenes and footage that didn't make the final theatrical cut, but only a few are being included on the upcoming Justice League Blu-ray. There are also sequences that were never filmed at all, but recent storyboards revealed their existence. As for Batgirl, Whedon walked away from the project due to not having a story. "Batgirl is such an exciting project, and Warners/DC such collaborative and supportive partners, that it took me months to realize I really didn’t have a story. I’m grateful to Geoff and Toby and everyone who was so welcoming when I arrived, and so understanding when I… uh, is there a sexier word for ‘failed." The theatrical cut of Justice League will be available on Digital HD on February 13th and Blu-ray on March 13th - complete with deleted scenes. The film will be followed in the DC Extended Universe by Aquaman on December 21st, Shazam on April 5, 2019, Wonder Woman 2 on November 1, 2019, Cyborg in 2020, and Green Lantern Corps in 2020.